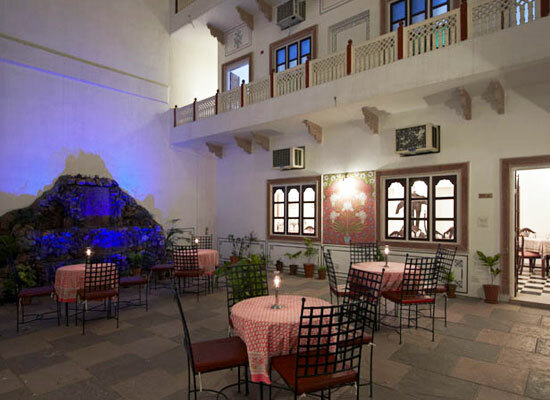 "Mahal Khandela, Jaipur is an elegant relic of the Rajputana era. The historic home of the 15th descendant of Raja Raisal, Mahal Khandela is a spectacular specimen of a regal house. The home of the royalty has now been converted into a luxury heritage hotel. The antique medieval-style palace, built as a fusion of Hindu and Mughal architecture in red and pink stone has made contemporary additions, creating wonderful experiences for visitors. Combining comfort with heritage, Mahal Khandela is adorned with luxurious features. The rooms retain their classy features adding modern comforts. The in-house dining is a gastronomical pleasure. Whether you are with family, friends or on your own, experience a memorable holiday in Pink City. 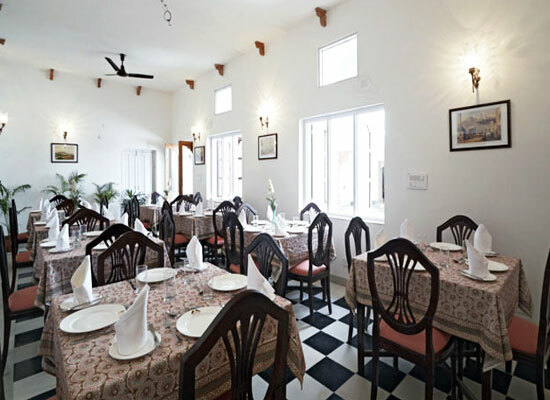 The history of Mahal Khandela dates back to five hundred years. The 15th ancestor Raja Raisal of Khandela, Rajkumar Jait Singh built his home here. Raja Raisal was a prominent dignitary in the court of Emperor Akbar when he conquered the territory of Khandela in 1567 AD. Thakur Hanwat Singh, the present family head has established Mahal Khandela (A Unit of Parkland Hospitality). 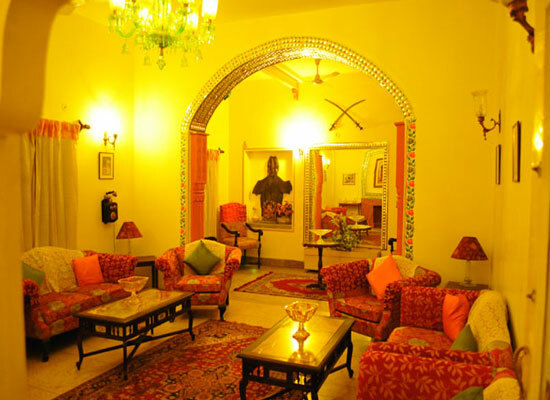 The heritage hotel has an ambience of a lived-in-home of a royal family with luxuries of today’s times. 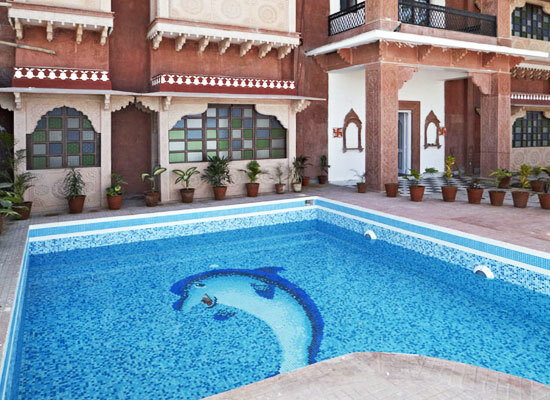 Mahal Khandela offers accommodation in 27 rooms, comprising 10 double and 17 twin-bedded. 15 are super deluxe and 12 deluxe rooms. All rooms are equipped with air-conditioning and other modern comforts. The regal rooms have kept intact their historic appeal. 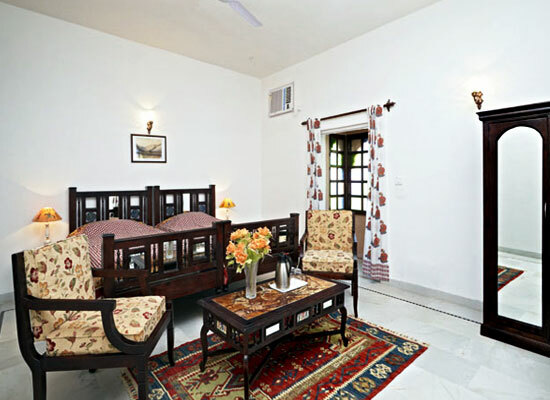 The Super deluxe rooms of Mahal Khandela are charming, preserving their regal heritage. The comfy rooms have options of a king size bed or twin beds. The air-conditioned rooms have access to beautiful views of the premises. En-suite bathroom, air conditioning, TV and entertainment options and other amenities are available. Enjoy the lavish delights of your accommodation. The comfy deluxe rooms have options of a king size bed or twin beds. The air-conditioned rooms open to engraved stone balconies overlooking beautiful scenery of the gardens. The rooms have large attached bathrooms with hot & cold running water are available. TV and entertainment options, telephone connection and other facilities are added bonus. 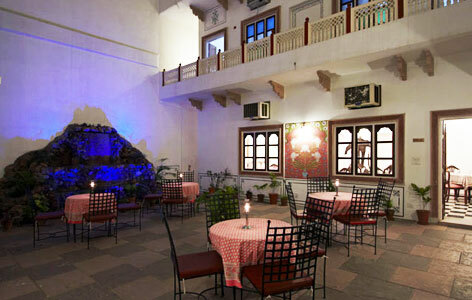 The Restaurant at Mahal Khandela Hotel serves a multi-cuisine banquet. Taste platters of Indian, Asian, Continental, and the local Rajasthani fare. The in-house chefs create an authentic experience of Rajputana Hospitality. Enjoy dinner in the lovely location of the restaurant decorated in traditional style. The chefs will also create any special dish on prior notice. Meals can also be delivered to the rooms on request. Jaipur is the zenith of the Rajputana glory. The capital of the royal state of Rajputana reverberates with tales of the bygone. Colored in the trademark Pink, the city is charming. Home to majestic palaces, forts, awe-inspiring architecture, colorful markets, gorgeous handloom garments and pleasingly laid-out gardens, it is not difficult to fall in love with the city. History and modernity co-exist in the Jaipur, creating cherished remembrances for visitors.